Thanks so much, Jennifer and Angel. That was most interesting. The Wonder of Illustration Exhibition details can be viewed by visiting http://www.booksillustrated.com/en-UK/the-wonder-of-illustration. 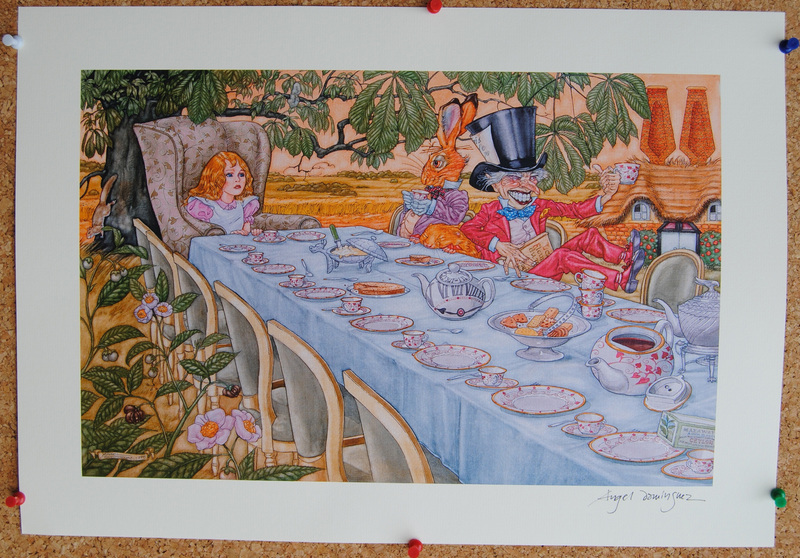 This page gives details of the two illustration shows ‘Alice’s Adventures in Wonderland’ illustrated by Angel Dominguez and ‘The Chronilces of Narnia’ illustrated by Andrew Skilleter (the Dr Who illustrator). 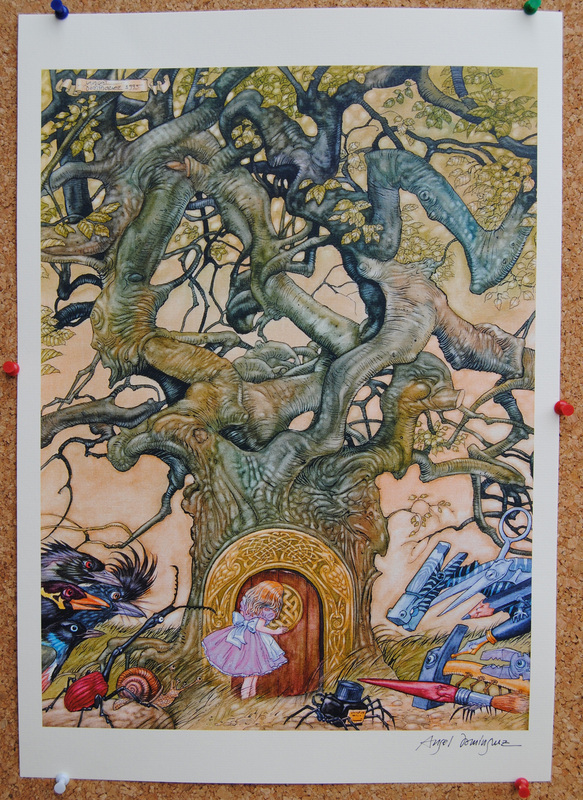 There is also a colouring competition http://www.booksillustrated.com/en-UK/alice-colouring-in-competition where an Angel Dominguez signed print can be won. 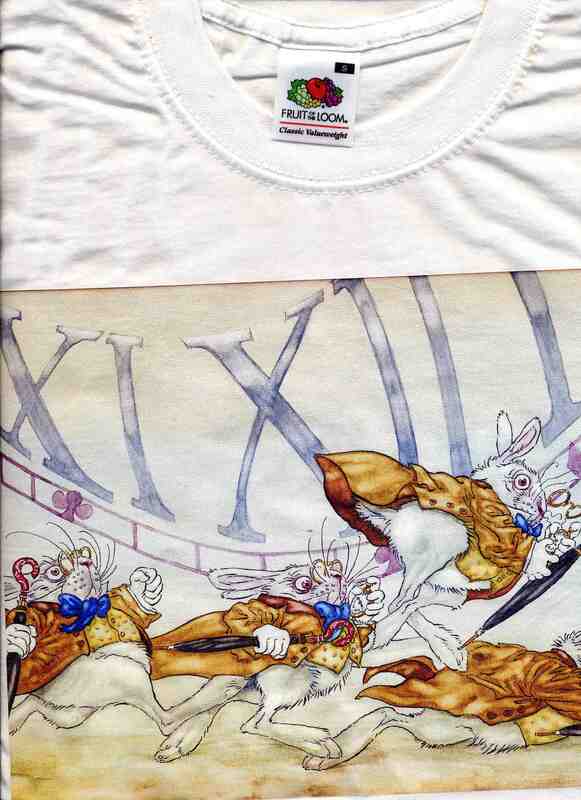 Hilary and you, both, did a gorgeous work in your-our website with the Alice´s exhibition. I like the reproductions of my originals more than in the very book! specially the Gryphon dancing… giving a glance to my own paintings in your website encourage me to do THROUGH THE LOOKING GLASS. Thanks for all dear friends, and… of course, we´ll meet there at Salisbury! …AND… of course, thanks a lot to all who kindly are writing here about my humble work. To all, specially to Jennifer, the creator of this gorgeous interview, my most warm thanks. Angel, you touch my heart. Thank you for your humanity. I lost your email address! so, please send me the one as soon as possible, I want to talk with you. May be that we can meet in England at the end of this month! All the best to all of you, regards to Evadney and Little Rob! Hi, good post. thanks for writing. I’ll certainly be subscribing to your posts. What an inspiring interview! I’ve known for quite some time what a gift Angel Dominguez has, and I am continually amazed by his talents. 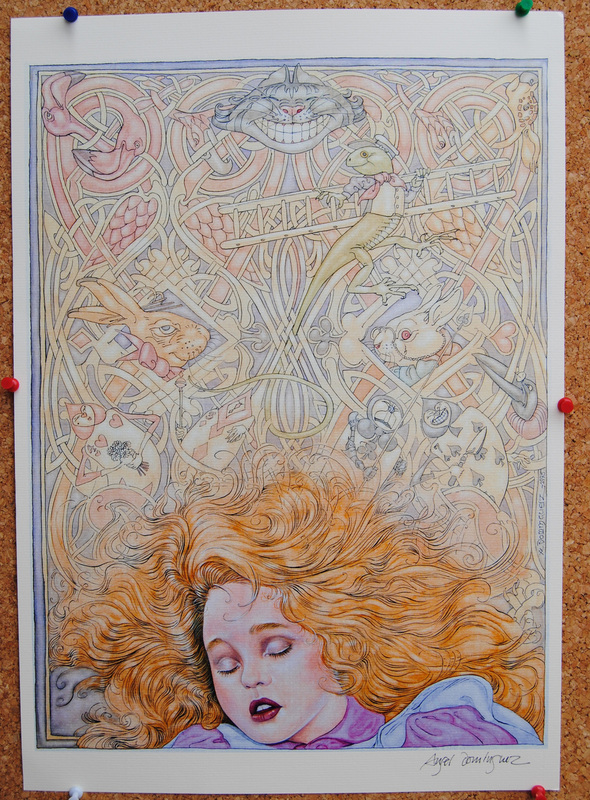 The depth and detail, and variety, of his work is stunning. Thank you for this opportunity to hear Angel speak about himself and his work. He is a treasure. We´ll be in touch to follow with our Mermaid. I will grab your rss feed to stay in the loop of any updates. Wonderful work and best of luck in your life! With delay… -remember that THE WEB… is that many ways in which we´re- but THANK YOU VERY MUCH FOR YOUR WORDS. I´m sorry, only one thing: Mari is not a basque queen, Mari is the basque GOD. Thanks. Thanks for your comment. I put down what Angel said in the interview. He called Mari ‘Queen of the Basques’, so I understood that was how he personally saw her. I do understand your point though and thank you for it. -Diosa Mari, reina de la mitología vasca. GODESS MARI, Queen of the Basque Myths.